It was reported this week that Austin Water is predicting Stage three restrictions will occur sometime in October. This will dramatically affect watering of lawns and irrigation system use. The current window of watering hours will be cut by more than half. 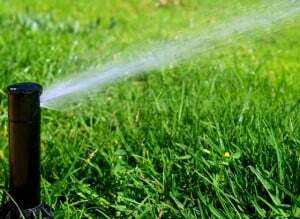 The Stage 3 restrictions would bring in new rules that would restrict watering to be from only 7pm to 10 pm and 7am to 10 am on your watering days. Fines for violations will double from $75.00 to $150.00. So ensure that your sprinklers and irrigation systems are working properly. Give us a call if you need an inspection or some help. We’re back under Stage 2 water restrictions! On September 4th, 2012, Austin Water announced that Stage 2 water restrictions were back in force as the water levels of Lake Travis and Lake Buchanan reached an unfortunately low threshold of water storage. We are back in drought-mode! Automatic Irrigation Systems: The AWU states that residential odd-numbered addresses with such systems can water only on Wednesday while residential even-numbered addresses can do so on Thursday, either before 5am or after 7pm. Commercial and multifamily odd-numbered addresses can water on Fridays while commercial and multifamily even-numbered addresses can water only on Tuesdays, again before 5am or after 7pm. Hose-end Sprinklers: Odd-numbered residential addresses can water on Saturday, either before 10am or after 7pm. Even-numbered residential addresses are Sundays, before 10am or after 7pm. Public schools with irrigation systems must water on Mondays only, before 5am or after 7pm. Handheld hose and hand bucket watering is permitted at any time and on any day of the week. Check out the other points that apply by visiting the Austin Water website. You can download a PDF of information about the Stage 2 restrictions from the Austin Water website. And Austin Water is working on enforcement too. You can get a fine from $475 and up if you don’t follow the rules. You get one warning and then a ticket. At South Austin Irrigation, we believe that knowledge is power. If you notice that your irrigation system is either malfunctioning for leaking, we can help you fix the problem quickly so that you can steer clear of AWU penalties. Even if your system appears to be in good working order, we can inspect it to make sure it stays that way. We’re Austin’s irrigation experts! We excel at repairing tough sprinkler system problems. Call us today. The City of Austin has a number of water conservation rebates and programs. We invite you to take a look at them and see if any apply to you. Saving water is becoming increasingly important. They also offer an Irrigation Upgrade Rebate as well as a free analysis of your irrigation system if your system has certain requirements. The Irrigation System Evaluation is free if you are an Austin Water customer or a qualifying water provider. 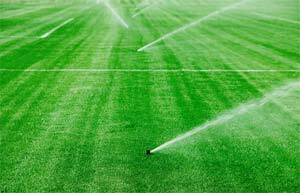 You must also have an in-ground sprinkler system and use more than 15,000 gallons of water per month in the summer. If this is the case, a licensed Austin Water irrigator will come out and check your system and help you determine an the best schedule for watering and/or recommend equipment upgrades if needed. You can schedule an evaluation. Customers who complete an irrigation evaluation and make all recommended improvements may receive up to $400 in rebates. Unfortunately, new systems and expansions to existing systems do not qualify for the rebate. You can download an application form. South Austin Irrigation Repair is here for you if you need to upgrade your system to qualify for the rebate. Give us a call if you need a hand.